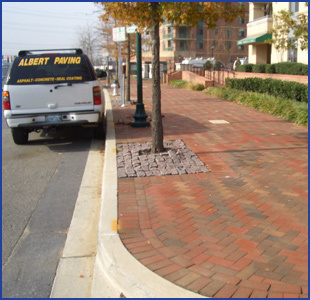 It's no wonder Albert Paving is called "the neighborhood paver." 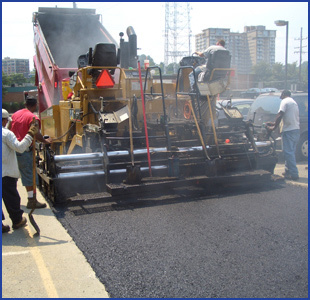 As a trusted paving contractor company, we've been working in Bethesda, Chevy Chase, Potomac, Kensington, Cabin John, Montgomery County in Maryland and Upper Northwest DC and other communities for more than 30 years. Drive up and down any street and neighborhood around this area and you will pass our workmanship at many homes and businesses. 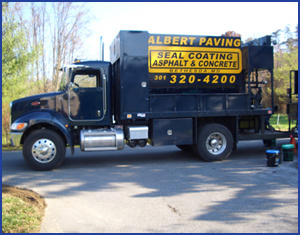 Joe Albert, owner and founder of Albert Paving, is a lifelong resident of Montgomery County. He is a graduate of Walt Whitman High School, and grew up in the business. Either Joe or a highly experienced foreman supervises each and every project. Wherever you see our sign, you'll see the highest-quality paving and surface construction services. That sign represents quality work, attention to detail, and experienced professional crews that provide paving services that will last for years. We offer free evaluations and estimates. Call or e-mail anytime!